Attention anyone with a closet: The shoes you no longer need are desperately needed to fight the human tragedy of global poverty. That’s the message being delivered by Evergreen’s Blue Spruce Kiwanis, which has launched a drive to collect 10,000 pairs of shoes to help the poor. 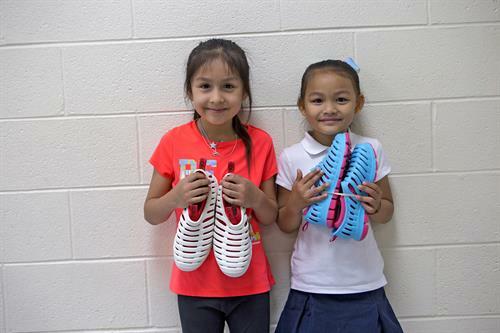 Used and new shoes of any type can be dropped off on Saturday, April 20, 10am- 3pm, at the Bergen Park King Soopers parking lot (1173 Bergen Pkwy., Evergreen). For those not able to drop off shoes April 20, permanent shoe collection boxes can be found at locations around town including Bank of the West (Evergreen Pkwy. ), Evergreen National Bank (downtown branch), Evergreen Fire & Rescue (Bergen Pkwy. ), Walgreens, Mount Evans Hospice, US Bank, Evergreen Lutheran Church, and Mountain High Christian Church (Hwy 285). Kiwanis will also be hosting a Community Shoe Drive in the Conifer area on Sunday, May 19. 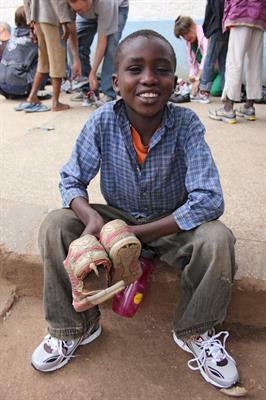 All shoes collected by Kiwanis will be delivered to Soles4Souls, a nonprofit global social enterprise committed to fighting poverty through collection and distribution of shoes. More information at Soles4Souls.org.